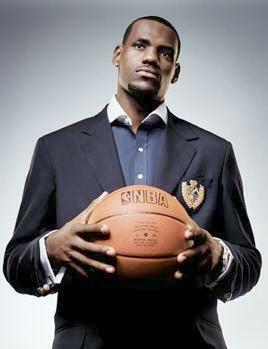 LeBron James Part Owner of Soccer Team? *LeBron James is going from the basketball court to the fields of soccer? It may sound unlikely, but it is a love affair with sports and sound business savvy that has made this partnership come true. The ever-increasing popularity of Soccer in the U.S. must’ve gotten LeBron’s attention. Good for him. That sounds like a good investment to me! I’m not sure what his percentage of ownership is, but this a good way for his money to make more money for him. Good job LeBron. Now that’s big time. When I saw the headline, I was thinking some MLS team.